As we are in mid-July, we can expect the second batch of Nokia smartphones to be unveiled in the coming months so that they are released this year. Already, we have come across rumors that they are prepping a slew of smartphones including Nokia 2, Nokia 7, Nokia 8 and Nokia 9 with the last one tipped to be the flagship model. In the last week, a report stated that HMD will not launch the Nokia 4 smartphone as the number four is considered unlucky in many Asian markets. 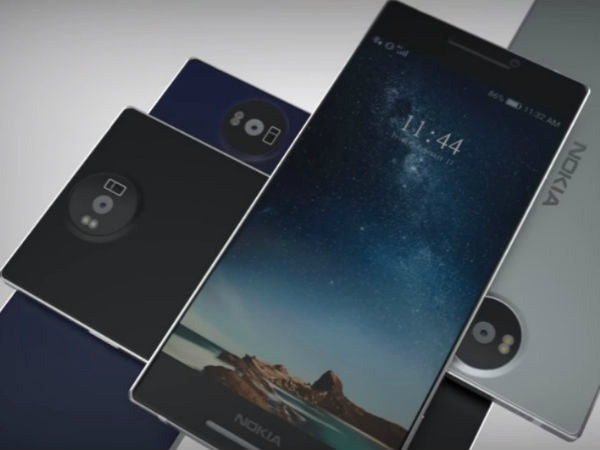 Now, a Chinese tipster with a consistent track record about the Nokia leaks in the past has posted the names of the seven Nokia smartphones slated for 2017 release along with the processor that will power each of these phones. This information has come via NokiaPowerUser. In a nutshell, below is the list of Nokia Android smartphones and their processors. Notably, the list includes the names of the already launched and the upcoming smartphones. Nokia 2 – Snapdragon 212/Mediatek processor Nokia 3 – Mediatek MT6737 Nokia 5 – Snapdragon 430 Nokia 6 – Snapdragon 430 Nokia 7 – Snapdragon 630 Nokia 8 – Snapdragon 660 Nokia 9 – Snapdragon 835 From the order of devices and the already official Nokia 3, Nokia 5 and Nokia 6, it is clear that the Nokia 2 will be the entry-level smartphone of all. Being the flagship smartphone, the Nokia 9 will be the high-end device of all and is expected to carry a premium pricing.